Every year, groups of investigators all over the world go out and attempt to identify UFOs. A lot of the time they are meteors or man-made aircrafts, promptly solving the “unidentified” aspect of a UFO. But sometimes there is no straightforward answer and to a lot of people, that begs the long lasting question: is there extraterrestrial life and has it come to Earth? 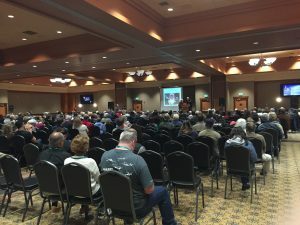 The Quinault Beach Resort and Casino is proud to host the annual UFO/Paranormal Summit conference that jumps into these questions with educated speakers sharing their experiences and research. Starting on Friday, March 1, at 6:00 p.m. and going through Sunday, March 3, at 12:00 p.m., the conference is the perfect time for a relaxing break where people can join in on a weekend of forums and activities, while enjoying everything the casino has to offer. 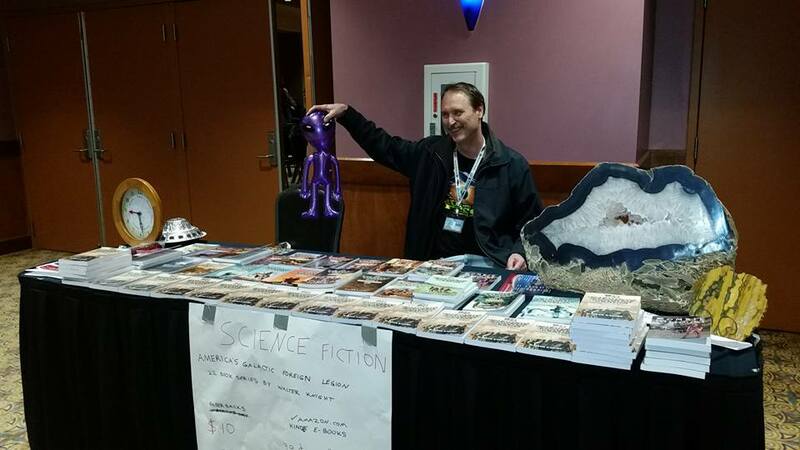 Everyone from first time conference goers to professional researchers will be bustling about at the QBRC for a few days of fun and information at the annual UFO/Paranormal Summit conference. Tickets are $45 per person and can be purchased online or at the door. A workshop ticket that includes a special event with Derrel Sims, The Alien Hunter, on Sunday is $100 and comes with a weekend pass and a free T-shirt, too. There are 3 rotating workshops on Sunday. Derrel hosts one, UFO iTeam hosts another and Maurene Morgan hosts the third and is limited to 45 people total. Every group of 15 rotates so they get all 3 workshops. There will also be 1 or 2 surprise speakers coming. There is a special rate for the weekend for conference attendees that includes two tickets to the Friday and Saturday events and two complimentary T-shirts. The UFO Summit Room package starts at only $349 for two nights, so make a reservation today while space is still available. To kick off the events on Friday at 6:00 p.m., guests will have the chance to check out plenty of themed vendors with an assortment of items like clothing, reading materials, and other souvenirs or mementos. There will also be a meet and greet with the conference speakers from 6:00 p.m. to 10:00 p.m. where guests will have the chance to ask questions, receive autographs and snap some photos. Witness testimonies are also set for 9:00 p.m. on Friday, a great time to share a personal experience pertaining to the paranormal. UFOiTEAM. The UFOiTEAM is a team of researchers and people that have experienced the paranormal themselves and work together to investigate UFO-related phenomena. They work within communities and through online media to educate and give people a place to share their experiences. They also have plans to produce a television pilot to pitch in the future. Reverend Sarah Nash. Nash is the founder and president of White Light Express and is a well-known spiritual medium, focusing her abilities on clairvoyance and clairaudience. In her work and investigations with clients and also law enforcement, she works with these beings that she refers to as her “far friends.” Don’t miss out on the chance to hear about some of her experiences and how they may be applied elsewhere. Maurene Morgan. Morgan is a Washington State MUFON state section director and a certified field investigator who has experience in reports of “UFOS, entities, and mental and physical procedures.” Morgan is also in charge of the Olympic UFO Meet Up in Port Townsend and also another group for people that say they have been through something paranormal. Maury Island Incident with Steve Edmiston and Scott Schaefer. Steve Edmiston, in addition to being an attorney at Bracepoint Law in Seattle and founder of Quadrant 45, is an independent film producer and writer. He is the co-founder of the Maury Island Incident Historical Society and hosts the “Burning Saucer” annually. Schaefer is an award-winning director and producer with over 33 years of multimedia experience. He now operates a network of local blogs for South King Media. For more information, visit his official website. Derrel Sims, The Alien Hunter. Sims has more than 38 years of field research and experience and is the world’s “leading expert on alien abductions” with a background as a CIA operative and military police officer. Sims also works as a therapist and has worked with hundreds of people around the globe that have had encounters to help them better understand what they have experienced. There are limited tickets available, so be sure to purchase yours today. 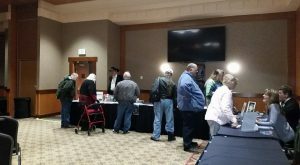 For more information and a detailed list of scheduled speakers and events, visit the UFO/Paranormal Summit website.